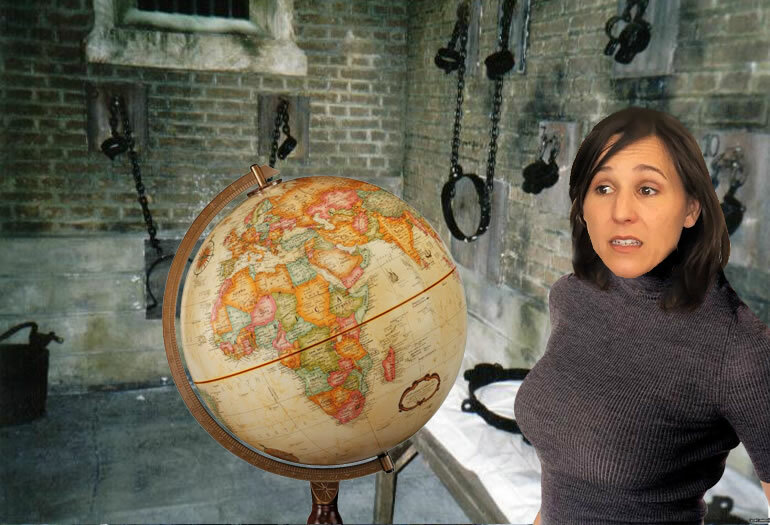 A famous scene from “The Return of Professor Morlock” in which his mindless slave known only as Ghoul Girl (Amy Ball) encounters a globe in the professor’s torture chamber and remembers that she was once a nurse named Amanda Globe at the asylum where he was committed . It would later come out that she was born a princess on a faraway alien planet that Morlock had kidnapped her from and when she eventually returned, she acquired super powers which would allow her to do savage battle with him. Ball was an ardent feminist who loathed playing the shrinking victim Amanda in the early films. 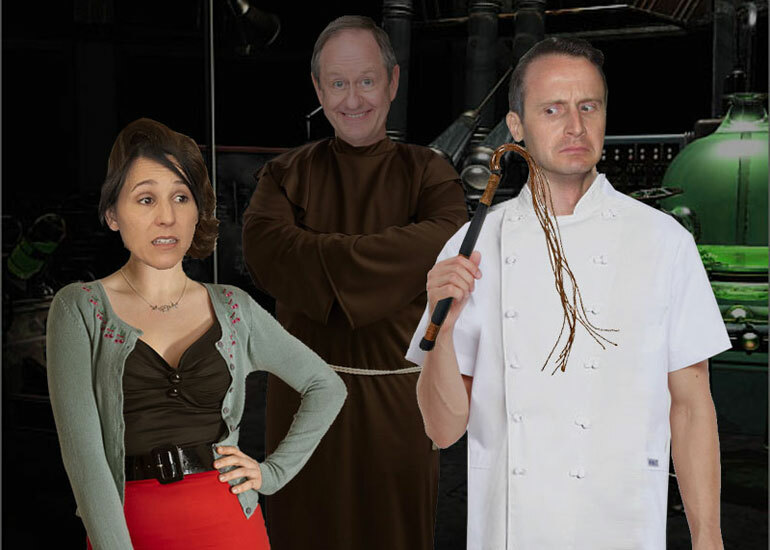 She was a popular figure amongst the cast because she was the only actor who would stand up to the cheapness of the producers, often refusing to come out of her dressing room until Ackerman was given his promised boxed lunch. After “The Ghost of Professor Morlock,” she retired from acting to work for a coffee company and make politically radical film documentaries on leftist causes. She had no interest in returning to the role after the series reboot and didn’t appear in “The Bride of Professor Morlock.” She agreed to look at the story for the follow-up, “The Daughter of Professor Morlock,” with great reluctance but was delighted to learn that far from being the timid door mat she was in the first four films, Amanda was now a hard-edged fighter who had developed super powers after living on an alien planet. When Ball saw that Amanda’s first scene in the film after her dynamic entrance was to beat the living crap out of Morlock for everything he’d put her through in the past, she signed on without bothering to read the rest of the script.